The characteristic aroma and the taste of fine Arabica and Robusta coffees from the distant lands of Brazil, Guatemala and Ethiopia give rise to the La Tazza d'oro Black Pod blend. A coffee designed for palates that appreciate a fragrant and delicate espresso. Gently delight in this exquisite light coffee; allow yourself to be carried away on a journey of taste with notes of sponge cake. A delicate espresso with a hint of hazelnut aftertaste. It's perfect for those who love a light-weight espresso. 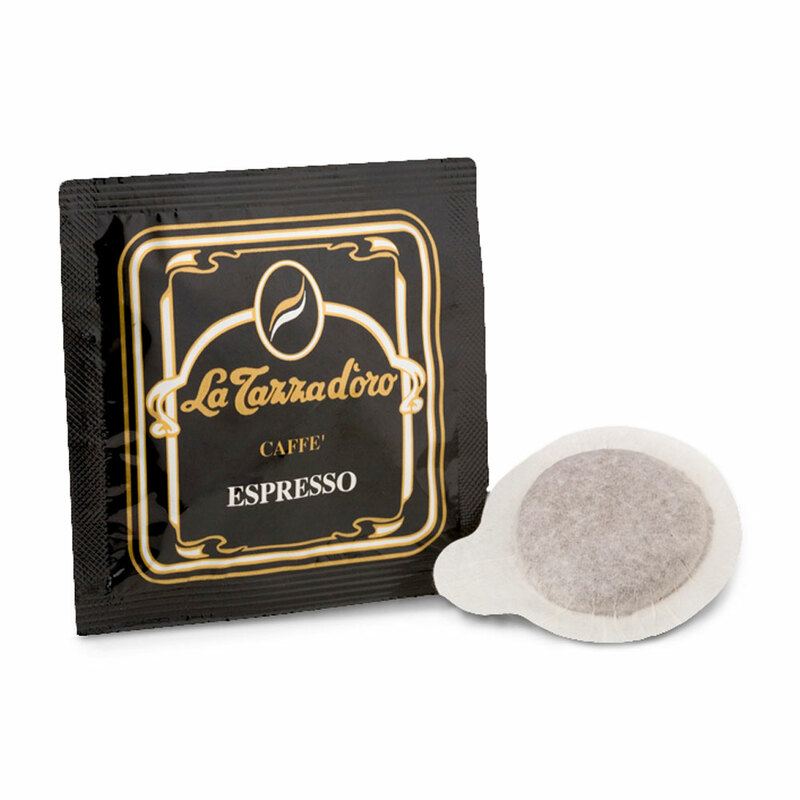 Easy and quick to prepare, La Tazza d'oro pods contain the right dose (about 7 grams of ground coffee) to be enjoyed wherever you need a pleasant break: at home, at the office or in your shop. The blend, obtained from the finest varieties of Arabica coffee and a pinch of Robusta, gives you a fragrant and inviting cup of espresso coffee.